I've been tagged by the lovely Susanne over at The Musing Blonde to a little blogging Q&A. Looked like fun so I thought, why not? I first started regularly blogging when I was 18-19. Some online friends got me hooked into it. It was an online journal. I'm a little sad since I can't remember any of the posts I've written, and at the same time relieved since I'm sure I was mostly talking about boybands! I had a fair bit of followers in boyband fan communities due to writing fan fiction. Gosh, can I go hide now? Just recently to be honest. I wasn't quite sure where I was going with it when I relaunched One Chocolate Box from a book review blog into a lifestyle/personal blog in July last year. I've got more of an idea with regards to direction now, and so for the moment the key feature will be happiness-related posts. Since the relaunch? I wrote an incorrectly titled post on how smart phones and tablets are affecting how we interact socially. Figuring out what I really wanted to focus on with my blog, because I wanted to do everything - product reviews, fashion, books, life in general. But it just wasn't possible to cover everything without being all over the place. So I decided to focus on what was most important for me personally at the moment, and let my blog reflect what's happening in my life. Meeting like-minded bloggers, for sure. I've only been regularly blogging again for nearly 6 months and it's great how I've made some friends from different parts of the world - ones that I hope I'll eventually get to meet in my upcoming travels. 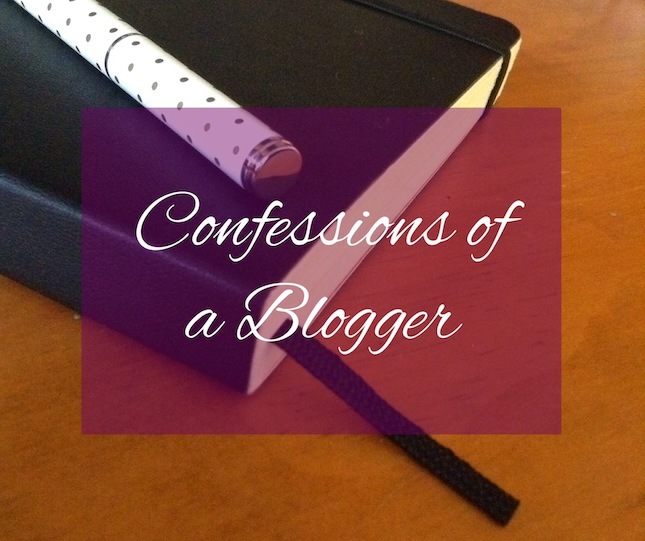 I started getting really disheartened just a couple of months into blogging because I was focusing too much on how many bloggers were following me. It was so liberating when I finally stopped obsessing over it. I still care about whether people follow me or comment on my posts, but my main focus has been transferred to my content and maintaining relationships with my regular visitors (most of which I now consider as friends). Other bloggers inspire me, especially the ones that have been consistently blogging for more than a year, and have grown their own community. I would love to have something like that one day. Try and take inspiration from everything, and get yourself a blogging diary/planner. It's been such a time saver for me. This is going to sound really corny, but my current goal is to document my journey on becoming a more positive, happier person; and hopefully be able to inspire someone else to do the same. I think I've gotten quite passionate taking photos via Instagram because of Fat Mum Slim's Photo A Day challenge. I've also become a little more active when it comes to charities as well, since being inspired by Esther's work. So now I'm tagging Mary at Secret Obsession, Lindsay at Wedding Rings to Teething Rings and Esther at Esther and Jacob. It's wonderful to see read about your blogging journey. Most of the bloggers I know started out with something they're perhaps a little embarrassed about. My first blog was all about boys and school drama. It was so silly looking back. And I think I fan girled over Orlando Bloom a lot back then, hahaha. And I really like your blog so far from what I've read and the direction you're taking. I haven't been reading your blog for long but I really look to your website as a model for my own. I'm curious by the way, how did you learn to design websites and all that fun jazz? That's another story in addition to the blogging. Hahaha. In response to your last comment on my blog, I'm so glad to hear you empathize with me in regards to Legolas' part in the Hobbit trilogy. Most people have no idea what I'm talking about when I tell them my slight disappointment in his presence. I did like the river scene battle though, although Orlando Bloom repeated some of the moves he made in the LOTR trilogy. Jeej :) I might just need to get a planner for blogging myself. Thanks for sharing and all the honesty. What kind of blogging diary/planner do you use. I've been using spring pad to keep all of my ideas and such. I'd like to know more about how you keep your stuff organized. I love reading everyones blogging dirty secret. I didn't have one when I did it. And your blogging goal sounds great. Its perfect..not corny. Nice to get to know more about you, Toni! See you tomorrow for the New Year's Project! Argh, I was hoping no one would ask! Westlife. *sheepish grin* When are you heading off? Do it Susanne ;) thanks again for tagging me, I had a lot of fun answering this one! And thank you so much for your kind words, I feel so flattered and humbled. As for learning web design, I started teaching myself html when I was 13, and I started playing around with Photoshop when I was 18 (holy, wow, 11 years ago!). I did multimedia as my major at university, so learned a fair bit from there too. Oh yeah, the repeated 'skating/surfing' moves right? I noticed that too! It'll be interesting to see what happens in the third installment of the movie. Did you have any difficulty understanding Smaug's lines? I know they had to make it rumbly, and normally I love Benedict Cumberbatch's voice, but I found it a little hard to understand sometimes! Oh Ok. I also enjoy some old school but my handwriting is so awful it's annoying to look back through which is why I like the digital a little better. I can read it later haha. WOW all those posts in a sitting? That's impressive. I have several "notes" in my spring pad notebook that I do something similar with but haven't added that many topics. That's impressive. Have you read any good blogging books or are in any great groups? Only a couple of days to go! Have fun! :D oh and when you're buying bottled water, try to buy from a proper store, not from street vendors. I actually found you through BBN :). The only book I've personally read so far is "how to write great blog posts that engage readers" it's a small book but for $0.99 was pretty full of decent info. Oh my, you've gotten to see Orlando Bloom in person? A few years ago that would have been one of the coolest things I could do. I could care less now but he still makes my heart flutter when I watch his older films. And wow, that's incredible. I've been and off web design for the past ten years. I wish I stuck with it more rather than waver. Smaug's lines were difficult to understand at times. And Benedict Cumberbatch's voice in general is kind of difficult to understand haha. Like when he talks on Sherlock sometimes I have to rewatch parts to recall what was so funny about the last scene's lines, haha.